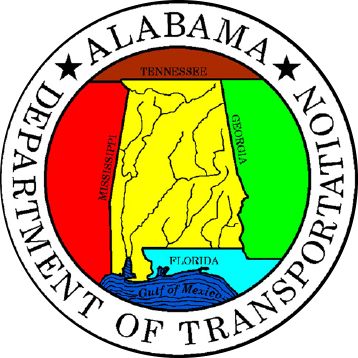 DBA has been fortunate to be involved as a consult to Alabama Department of Transportation (ALDOT) for the Mobile River Bridge and Bayway Project. This project represents Alabama’s largest ever investment for a single infrastructure project. 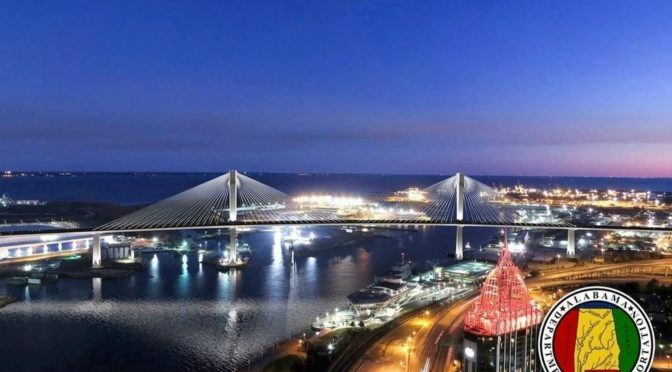 The project includes a cable stayed bridge over the Mobile River and seven miles of bridge over Mobile Bay. Bridge foundations therefore represent a major component of the estimated $2 billion project cost. DBA serves as a foundation consultant under subcontract to Thompson Engineering, Inc.. Thompson is one of the ALDOT Advisory Team partners, the other partners being HDR and Mott MacDonald. With the tremendous volume of foundations required for the project, the DBA/Thompson team worked with ALDOT’s Geotechnical Division to develop a pre-bid load test program to help reduce some of the risks that would face both ALDOT and prospective concessionaires. Performing a deep foundation load test program during the procurement phase of a Public Private Partnership (P3) project can help the prospective concessionaires better define foundation design parameters and reduce uncertainties and risks related to constructability of the foundations. The reduced risk leads to reduced costs by allowing the concessionaire to develop a more efficient design while minimizing contingency costs and potential delays related to foundation constructability or performance. 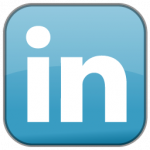 The load test program was designed to include the most likely foundation types that the prospective teams might use. 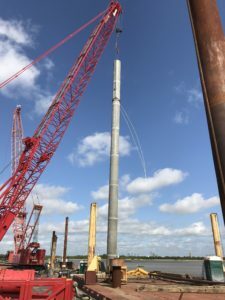 Several types of driven piles were installed and tested, including typical square and cylinder concrete piles used on the Alabama coast plus steel H-piles and an open-ended steel pipe pile. 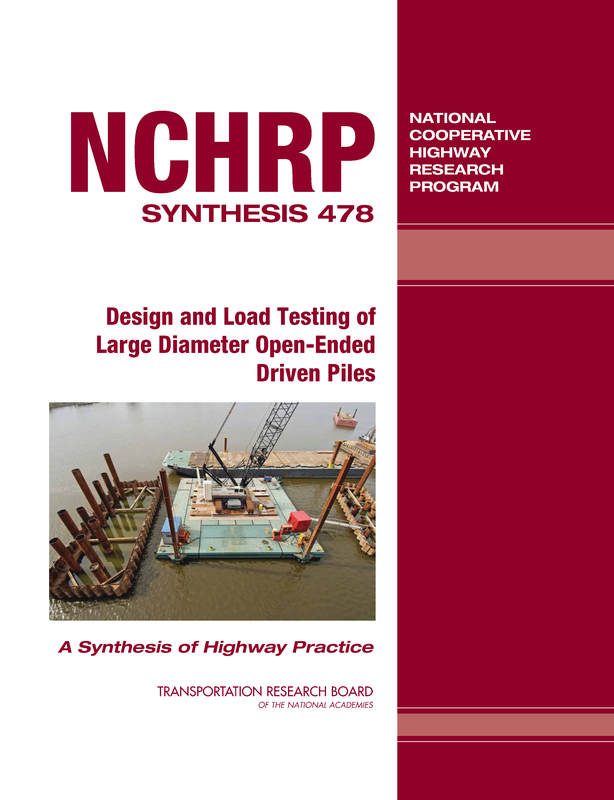 All driven piles were subject to dynamic testing with a Pile Driving Analyzer during driving. Restrikes with dynamic testing were conducted on all driven piles to evaluate potential strength gain with time. Jetting techniques were specified for some piles to evaluate this installation technique which could potentially be used during construction. Traditional axial static load tests were performed on steel HP14x89 and 18in Precast Prestressed Concrete (PPC) square piles. Rapid (Statnamic) axial load tests were performed on 36 in PCC square piles, 54in PCC cylinder, and 60in steel open-end pipe piles. 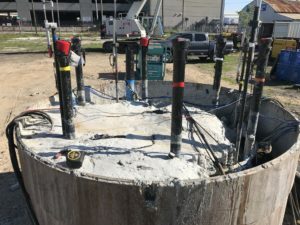 A 72in diameter drilled shaft foundation was also installed and tested. Axial load testing was done using a bi-directional load cell (AFT A-Cell). Lateral load testing was done using the Statnamic device. Here are some videos of the Statnamic testing, with slow motion action! Foundation contractors that are part of a concessionaire team pursuing the project were allowed to bid the load test program. Jordan Pile Driving was the successful bidder for the $3.7 million test project. AFT provided the testing services for the project – dynamic, static, Statnamic, and A-Cell. A summary of the results can be found in a presentation made to ALDOT at the 62nd Annual Alabama Transportation Conference on February 13, 2019. (Click HERE to get the presentation). 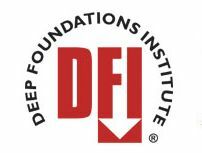 Publication of the results is anticipated to be made in the DFI Journal in the future. (1) a numerical model to simulate static and dynamic lateral loading of pile groups, including structural and soil hysteresis and energy dissipation through radiation; (2) an analytical soil model for nonlinear unit soil response against piles (i.e., p-y curves) for dynamic loading and simple factors (i.e., p-multipliers) to permit their use in modeling groups of piles; (3) experimental data obtained through static and dynamic testing of large-scale pile groups in various soil profiles; and (4) preliminary recommendations for expressions for p-y curves, damping factors, and p-multipliers for analysis of laterally loaded pile groups for design purposes. 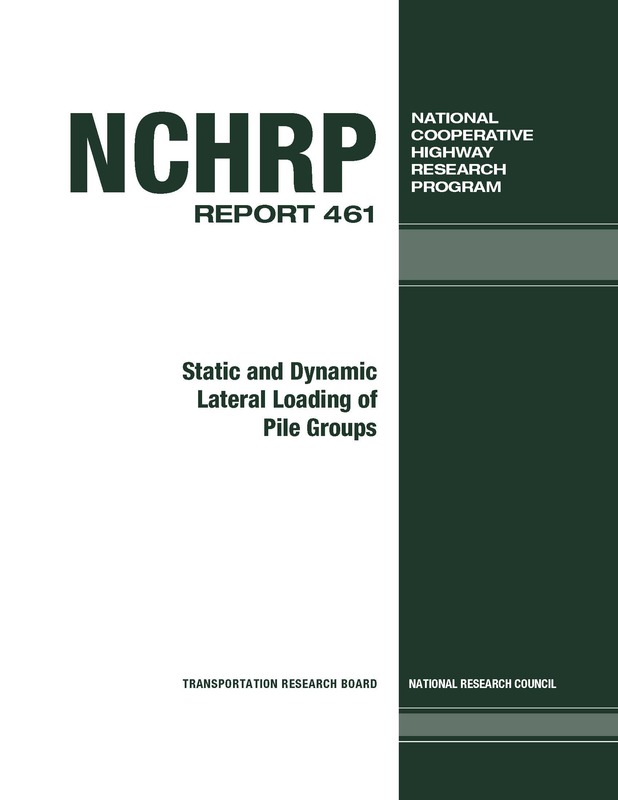 The report also describes experimental equipment for performing site-specific, static, and dynamic lateral load tests on pile groups. Several full-scale field tests were conducted on pile groups of 6 to 12 piles, both bored and driven, in relatively soft cohesive and cohesionless soils. 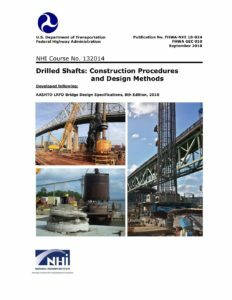 All of the groups were loaded laterally statically to relatively large deflections, and groups of instrumented pipe piles were also loaded dynamically to large deflections, equivalent to deflections that might be suffered in major ship impact and seismic events. Dynamic loading was provided by a series of impulses of increasing magnitude using a horizontally mounted Statnamic device. For a relatively short (50 pages) report, there is a lot of information packed into it gleaned from a lot of full-scale field work.